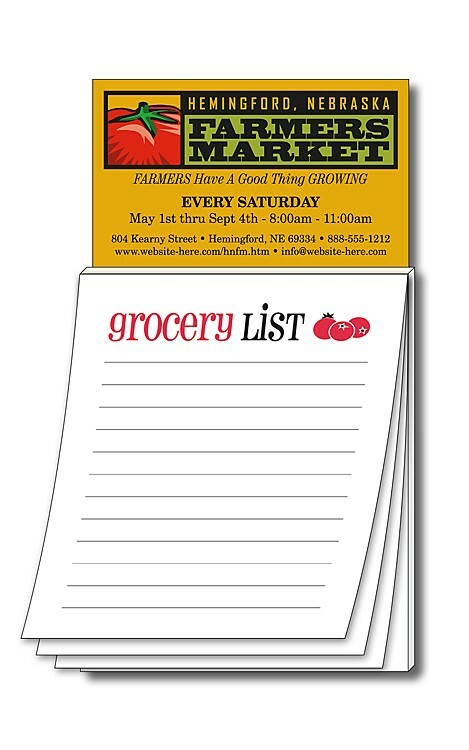 Take a Magnetic Business Card, add the 50-sheet Grocery List notepad, and you have a Custom Magna-Pad! You can have an instant imprinted 50-sheet gift item for trade shows and sales meetings, or use for sales calls and prospecting. Business Card Magnet includes printing in full-color (four color process) on one side. Pantone® color match not available in full-color. Magnets are not intended for outdoor use. Final placement of the magnet header is not exact and may shift up to 0.0625” in either direction.